Antique safes are interesting. 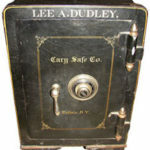 Lots of people remember their grandpa’s old safe or the safe they saw in a building from the late 1800’s. 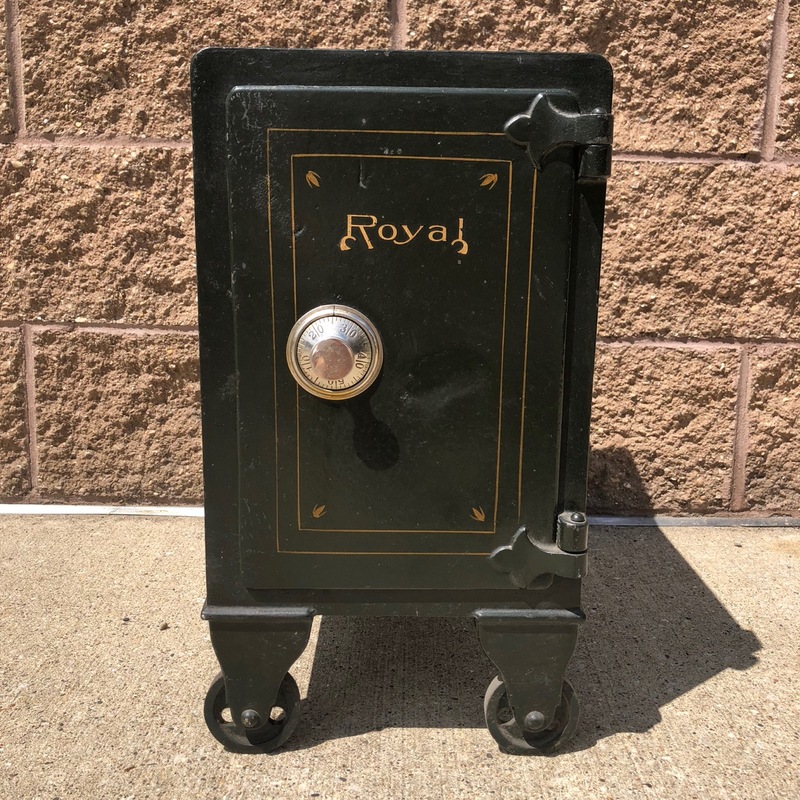 Many old safes have histories attached to them that remind us of the old days. Most old safes were built to be fire proof. 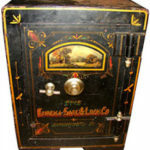 There was no standardized fire test or rating system back then, but antique safes seem to perform very well in fires. In spite of not having all the security features of modern safes, they still offer a moderate level of protection from break-ins. A classic antique safe makes a great conversation piece, a cool end table or an interesting television stand. Dress up your living room with something that not everyone has. 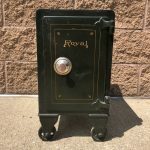 We usually have a dozen or more antique safes in our shop, most of which are for sale. We buy good ones, too. So if you want to buy an antique safe or if you have a nice antique safe that you no longer want, come to Hoogerhyde. 17″h x 9.5w x 13d, 50 number dial, dark green, 85#, distinctive rivets, two shelves. 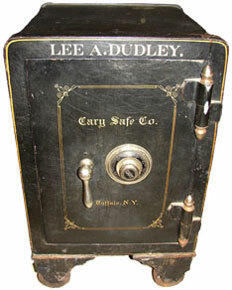 Cary Safe Company was in business from 1878 until 1929, in Buffalo, New York. This unit measures 26″H x 16″W x 18″D. Nice original paint inside and out. It has a small key locking drawer and a small key locking compartment inside. 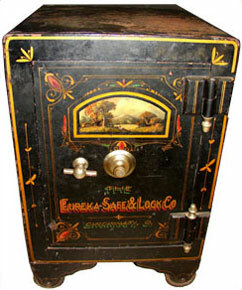 Eureka Safe & Lock Company was one of many safe companies in Cincinnati, Ohio. They probably built this safe circa 1900. It is 28″H x 18″W x 19″D. Nice ornate front with an outdoor scene, but the top shows 100 years of wear. It has a small locking cubby hole inside.